This is an exciting moment for me! Finally, at long last, a Catholic edition of the English Standard Version has been made available and received ecclesiastical approval in India. The original ESV was published in 2001 as an alternative update to the RSV Bible, preserving the English Bible vocabulary inherited from the King James Version. The KJV was the original “Standard Version,” which was then updated by the “Revised Standard Version” and now the English Standard Version. It is a fascinating tale that the King James Version, which was published in a rivalry with Catholic scholars who put out the Douay-Rheims Bible about the same time, should now be brought into the Catholic realm. Of course, many Catholics use the RSV-Catholic Edition, but that translation was made around 1950 and does not take into account the last sixty-five years of scholarship. The RSV-CE has gone through updates like the NRSV-CE and the RSV-2CE, but the ESV represents a huge shift. The Indian Bishops Conference plans to produce a new lectionary based on the ESV. 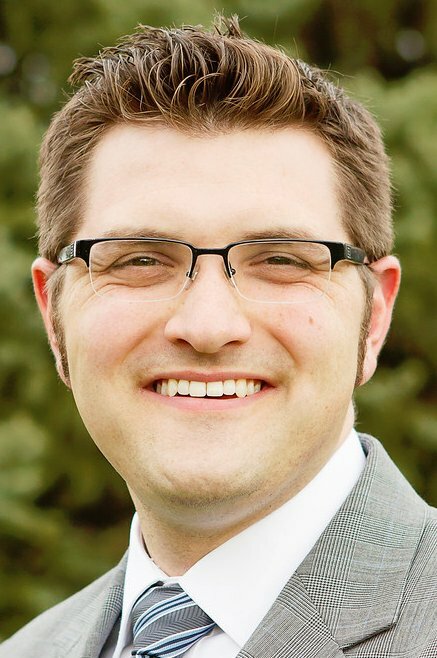 In the interview video I’ve embedded above, they mention that they have heard interest expressed by bishops in England, New Zealand and Australia, who might opt to use the ESV-CE in their lectionaries. It would be very interesting indeed if the whole English-speaking world starts using the ESV-CE at Mass! Soon, I think, the text of the ESV-CE will be available not only in India, but everywhere, including in the major Bible software programs like Logos/Verbum, Accordance and BibleWorks. If nothing else, it will be very nice for Catholics to have a new translation option for Bible reading and study. The publication is so new–just announced about ten days ago–that I can’t find a link yet to buy a copy, but I’ll post it here when I do find it. Happy Bible reading! This entry was posted in News, Translation on February 19, 2018 by catholicbiblestudent. 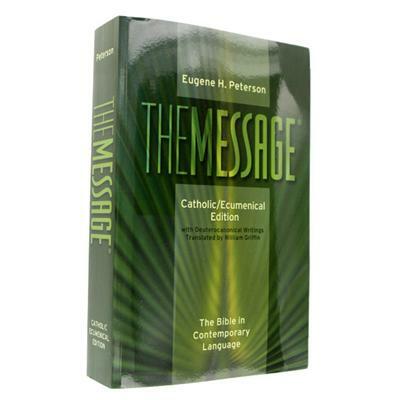 What is the Catholic/Ecumenical “Message”? I just received a copy of the new Catholic/Ecumenical Messsage Bible from the publisher. It came out in 2013, so I have no idea why they’re promoting it right now. This book includes Protestant seminary-professor-turned-pastor Eugene Peterson’s very loose translation of the Protestant canon and a new translation of the deuterocanon by the Catholic William Griffin. Can. 825 §1. Books of the sacred scriptures cannot be published unless the Apostolic See or the conference of bishops has approved them. For the publication of their translations into the vernacular, it is also required that they be approved by the same authority and provided with necessary and sufficient annotations. 2. With the permission of the conference of bishops, Catholic members of the Christian faithful in collaboration with separated brothers and sisters can prepare and publish translations of the sacred scriptures provided with appropriate annotations. These laws mean that a private Catholic individual is not supposed to publish his own translation of the Bible without appropriate ecclesiastical permission, even if that person is working on a Bible-publishing project in conjunction with Protestants. When I asked the publisher of this Catholic/Ecumenical Message about this, I was told that they didn’t feel the need to request permission from the USCCB because the Message is a a “paraphrasal translation” only meant to supplement more formal translations. But in fact, Eugene Peterson is no slouch in biblical languages. He used to teach Greek and Hebrew and so the Message is not really a paraphrase at all, but a very, very loose (like spaghetti-noodle-knot-loose) translation of the original languages. 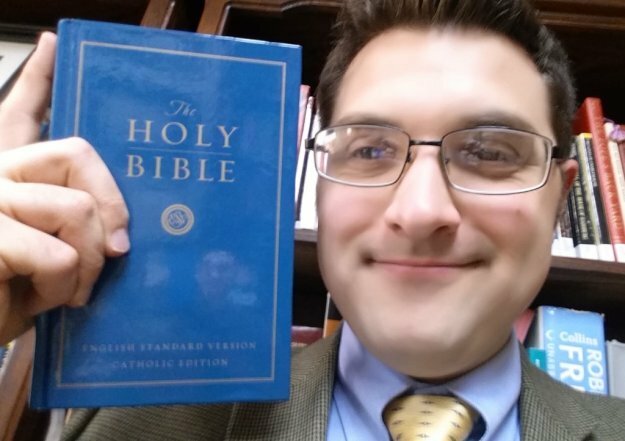 Canon law does not grant a dispensation, exception or legal loophole in the approval process to “informal” or “paraphrasal” translations of the Bible. Beyond that, since 1984, canon law has insisted that Catholic Bibles have “necessary and sufficient annotations.” That doesn’t mean that every Bible has to be a 3,000 page study Bible, but that Bibles do need to include some notes on the difficulties and obscurities in the text, particularly at places where people could easily get confused. 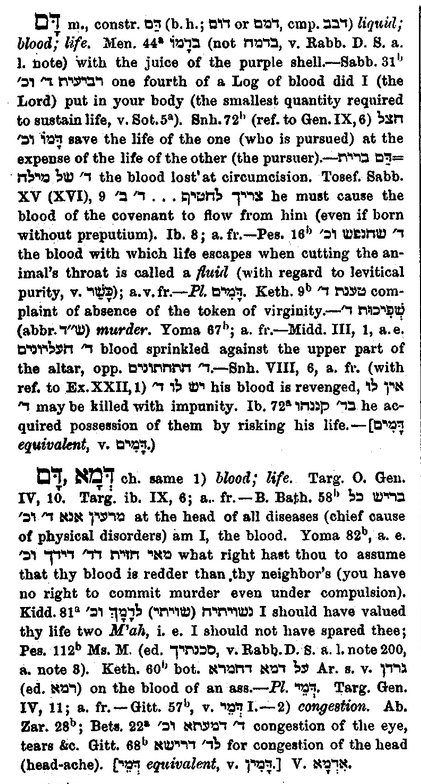 The New American Bible, the Jerusalem Bible and even the RSV-CE provide these types of annotations. Now, I’m no canon lawyer, but I must admit I do have misgivings about the publication of this “Catholic/Ecumenical Message” Bible without the approval of the bishops’ conference and with no imprimatur (The imprimatur indicates ecclesiastical approval for other religious books and is different from a bishops’ conference’s approval of a Bible translation). 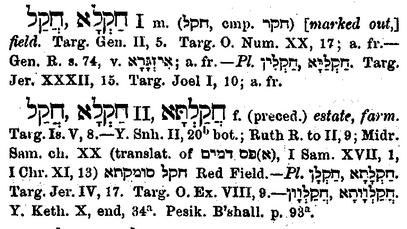 For my primary text, I could have used the Hebrew or, where necessary, the Greek manuscripts; but I didn’t. As I’ve already indicated, they seem to me to be the exclusive possession of the biblical scholars. Instead, I chose the Latin Vulgate—not the one put together by Jerome in the fourth century, but the revised and expanded edition called Nova Vulgata (New Vulgate) published in 1998. Pope John Paul II wrote a brief preface to that translation in which he declared and proclaimed that the Nova Vulgata may be used as the authentic text when translating into English, especially in the Sacred Liturgy. And so that’s what I used. Um, well, this is an interesting perspective, but I cannot agree with it. While Latin is the liturgical language of the Western Chruch, none of the Bible was written in Latin, so it’s a bit tendentious to suggest that it’s the best source for our vernacular translations. This New Vulgate edition will also be of such a nature that vernacular translations, which are destined for liturgical and pastoral use, may be referred to it. This line does not make the Nova Vulgata the base text for new Bible translations. It certainly does not override earlier magisterial statements about the importance of going back to the original languages. In fact, the Vatican has repeatedly encouraged the study of original languages and has often mandated that all vernacular translations of Scripture start with the Greek and Hebrew. Pius XII is gentle in his mode of expression, but he’s basically saying that the original Greek and Hebrew texts of Scripture trump the Latin Vulgate (an “ancient translation”). His encyclical set off a tidal wave of new translations from the original languages. A pope and a Council both point to biblical translation from the original languages. Most Catholic Bibles now published all draw from Greek and Hebrew directly. Furthermore, it is not permissible that the translations be produced from other translations already made into other languages; rather, the new translations must be made directly from the original texts, namely the Latin, as regards the texts of ecclesiastical composition, or the Hebrew, Aramaic, or Greek, as the case may be, as regards the texts of Sacred Scripture.Furthermore, in the preparation of these translations for liturgical use, theNova Vulgata Editio, promulgated by the Apostolic See, is normally to be consulted as an auxiliary tool, in a manner described elsewhere in this Instruction, in order to maintain the tradition of interpretation that is proper to the Latin Liturgy. Given the nature of certain statements that have entered the public domain through articles, internet postings and the like, the scope for misunderstanding of the Instruction on the basis of a superficial reading has unfortunately increased. Indeed, some even seem to have reached the erroneous conclusion that the Instruction insists on a translation of the Bible from the Latin Nova Vulgata rather than from the original biblical languages. Such an interpretation is contrary to the Instruction’s explicit wording in n. 24, according to which all texts for use in the Liturgy “must be made directly from the original texts, namely the Latin, as regards the texts of ecclesiastical composition, or the Hebrew, Aramaic, or Greek, as the case may be, as regards the texts of Sacred Scripture”. The Instruction in fact provides a clearer statement on the use of the original biblical texts as the basis for liturgical translation than the norms previously published in the Instruction Inter Oecumenici, n. 40a, published on 26 September 1964 (Acta Apostolicae Sedis 56  885). The point of piling up all these quotations is to say that the Catholic approach to Bible translation is to go back to Greek and Hebrew and then translate directly into the vernacular. The Nova Vulgata is helpful for indicating which books are to be included and which verses (where there are textual problems), it serves as the norm for traditional liturgical formulation, but it does not serve as the basis for new translations and it has not been commended to us as such by the magisterium. In fact, quite the opposite! Catholics should be reading Bibles translated from Greek and Hebrew. I readily admit that there are different legitimate translation philosophies and goals. They are usually put on a spectrum between the woodenly literal (like the NASB) and dynamic equivalence (Jerusalem). Usually in a separate category are the paraphrases like the Living Bible, which is truly a paraphrase of an English translation (the ASV). The Message tries to walk the line between paraphrase and dynamic equivalence. The point is to deliver to modern readers an intelligible, readable Bible that makes more sense than the supposedly clunky language of a typical Bible translation. Even Eugene Peterson did not want The Message to replace other translations or even to be read aloud in church services. He intended it as a study tool. The Catholic/Ecumenical Message does not carry ecclesiastical approval, translates the deuterocanonical books from a Latin translation and embraces a dubious translation philosophy. I’d spend your next Amazon gift card on something else. Oh, and if you do need a very simplistic translation for a young person or someone who has trouble with English, take a look at the Good News Translation (also known as Today’s English Version) or the Contemporary English Version, both from the American Bible Society and both with ecclesiastical approval from the USCCB. This entry was posted in Translation and tagged books on February 15, 2017 by catholicbiblestudent. once they had sung the ancestral hymns of praise. Now, often the Lectionary will include partial verses, but they are always indicated by a letter, so you might have Gen 18:1-10a, for example. But in this case, there is no letter indicated by the verse reference. I thought this mystery might call for a little Catholic Bible Student investigation, so I dug up a copy of the Ordo Lectionum Missio, editio typica altera from 1981. This is the official Latin listing of the Lectionary readings. And sure enough for Lectionary #117, Wisdom 18:6-9 are listed not 18:6-9a. You’ll also notice that the Ordo Lectionum also gives an “incipit” (Nox liberationis…) that clarifies the subject of the first line by adding a single word and omitting the first word of verse 6. But in the end, we’re left with a puzzle. Why would Wisdom 18:9b be omitted from the reading in the English translation? Here are possible theories: (a) the Latin Lectionary actually omits the lines and the English translators followed suit, (b) the English translators made a mistake by omitting them, (c) the lines struck the English translators as problematic, so they deliberately omitted them. If we go with Theory C here, I still don’t understand why the lines would be problematic–perhaps because they mention the fact that the saints will share in dangers as well as good things? Yet many other parts of Scripture talk about us sharing in suffering, so I can’t think that’s the issue here. In fact, the lines are included in the Spanish edition of this reading. I’d be curious to look at Lectionaries in other languages to see if these lines are present or omitted, but for now we’ll have to chalk this one up as a mystery! This entry was posted in Old Testament, Translation and tagged Text Criticism on August 3, 2016 by catholicbiblestudent. What is the Meaning of “Deep calls to Deep”? 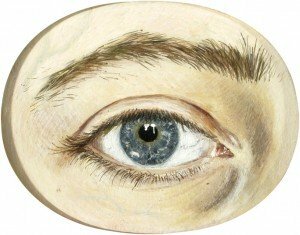 Psalm 42:7 inspires the imagination, but do we actually get the translation right? Do we really understand what this verse means? Often, people use this verse to describe the nature of prayer–a “calling out” from deep within oneself to deep within God. You can get a sense for it from the songs which quote this verse like “Deep Calls to Deep” by Mary-Kathryn or Matt Redman’s song by the same name. You can get a sense for the Christian preaching inspired by this line from Benny Hinn talking about intimacy with God. There are many other sermons, homilies, songs and inspiring Christian reflections on this phrase. But, do we really get it right? I think not. 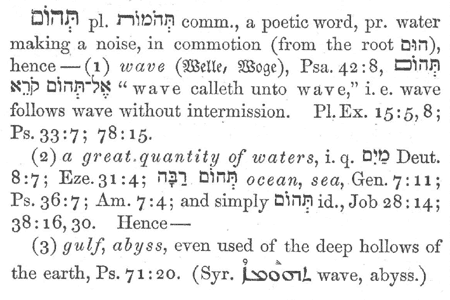 Notice the relevant line: “‘wave calleth unto wave,’ i. e. wave follows wave without intermission.” The word tehom normally is referring to a big body of water like the sea. Here though, the psalmist is talking about moving water, wave after wave, or in the case of a waterfall, crash after crash of the water from above. “Deep calls to deep” describes as best as a poet can the awesome power, repeated crashing and visual impact of wave after wave, not the cry of the heart. Now of course, this verse does come in the context of a poem about intimacy with God, which describes thirst for God, the joy of his presence and the terror of his loss. It deals with the depths of despair and conflict and the agony of tearful longing for God. But the personal dimension is at the end of this verse rather than the beginning. It says: “your breakers and your waves have gone over me.” The Psalmist feels overwhelmed by the darkness and despair he is experiencing, hitting him with wave after wave. He is mourning and oppressed (v. 9). He seeks hope, but finds taunting. His prayer is to be released from the overwhelming waters of darkness into intimate union with God. So, yes, this Psalm is about intimacy with God, but somehow we have a hard time getting the details right. This entry was posted in Old Testament, Translation and tagged Psalms on December 5, 2014 by catholicbiblestudent.